The UHA NPC advises that last week the NPC, its attorneys and some of its experts, engaged with EnviroServ, its local attorney, and its experts in order to be briefed on the progress made to date with the technical and toxicological assessments, EnviroServ’s proposed course of action and projected time frames associated therewith, as well as to discuss the access UHA NPC requested to the Shongweni site and information in order to facilitate the UHA’s own expert assessments and possible future engagement with EnviroServ’s experts. This meeting took place, as will any future anticipated engagement, without prejudice to either parties’ rights, including without prejudice to the rights of interested and affected parties. 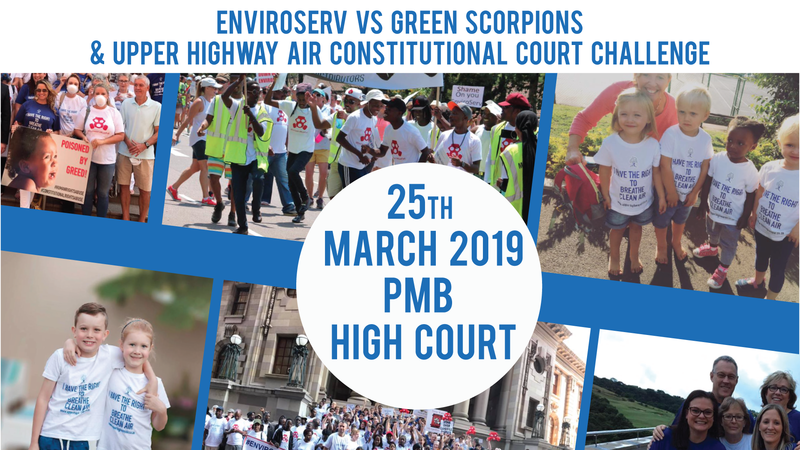 As will be the case with regard to any future engagement between the UHA and EnviroServ which may be agreed, the purpose of the meeting was to ensure that the cause of the problems be fully identified and addressed on an expedited basis and in a transparent way. At the link provided you will find a table summarising EnviroServ’s proposed Interim Odour and Landfill Gas Management Plan for the Shongweni Landfill Site dated 27 January 2017. This is not an agreed plan with the UHA NPC and as you will see, approval for, inter alia, the proposed progressive capping of the active cell, Valley 2, and the installation of an active gas extraction and destruction system to deal with the fugitive gasses, requires DEA approval. EnviroServ have advised us that their commitment is to a six month timeframe, (including time allowed for design approvals by the authorities), to fully implement the plan and to mitigate the odour issue from their site calculated from 1 March 2017. Similarly, it is EnviroServ’s belief that continued operation of the site whilst these remedial steps are being taken is necessary. The UHA NPC has made representations to the DEA as to why the operations at the site should be suspended whilst the further remedial steps are taken to address the problem. This aspect for now is in the hands of the DEA and the UHA NPC will act in this regard on the advice of its own experts when such decision is made by the DEA. We have been provided with an explanation from EnviroServ as to why it considers continued operation necessary whilst remedial measures are underway and will update you on this aspect once we have taken expert advice on this explanation. In approximately two weeks time, our experts will be engaging again with the EnviroServ experts to flesh out the terms of any future engagement as well as the necessary arrangements for the sharing and safeguarding of the required information. The UHA NPC has mandated WSP to conduct its own air, soil and water study and we will keep you apprised of the progress made to date in that regard.